“An international community that understands that the weaker party – the Palestinian people who have lived under occupation for more than fifty years – need our support more than ever. The concluding comment is one that seemingly people on all sides of the conflict could support – establishing a framework that is both pro-Israel and pro-Palestinian; a scenario in which all of the parties are supported. This sentiment rallies the alt-left, that the weaker party is always the one to be embraced, regardless of whether it is moral or ethical. Progressives therefore embrace such toxic notions that the Palestinian Authority is right to pay the families of Arab murderers of Israeli Jews, because the families of those murderers are poor and stateless. The evil is rationalized, normalized. For the alt-left, it is an appalling blessing of murder. For the United Nations, it continues a long history of virulent anti-Zionist behavior. Eyal Gilad Naftali Klinghoffer. The new Blood Libel. 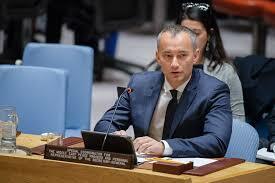 The United Nations Special Coordinator for Middle East Peace, Nickolay Mladenov, is forever busily tweeting and making statements about the violence in the Arab-Israel Conflict. Curiously, while he often condemns all acts of violence, he uses very different language when the attackers are either Israelis or Palestinians. When an Israeli commits the attack, Mladenov demands that the perpetrator be brought to justice, however, when a Palestinian commits the attack, all Mladenov can muster is a generic condemnation of terror. While Mladenov condemned the violence and noted that a Palestinian was the perpetrator, he did not call for the Arab killer to be brought to justice. That is in sharp contrast to how Mladenov reacted towards violence from Israelis. Today’s violence in #AlMughayer is shocking & unacceptable! #Israel must put an end to settler violence & bring those responsible to justice. My thoughts & prayers go out to the family of the #Palestinian man killed & those injured. All must condemn violence, stand up to terror. Not only did Mladenov not demand that the Palestinian killer be brought to justice, he didn’t demand that the Palestinian Authority stop the violence. Whether the violence is initiated by Israelis or Palestinians, the only party for whom the UN seeks justice are Palestinian Arabs. The best Mladenov can muster when Jews are attacked is saying that there is no justification for the attack, a generic comment which is far from demanding that the Arab killers be punished. I condemn this Friday’s attack in the #WestBank in which a #Palestinian woman was killed and her husband injured by stones allegedly thrown by #Israeli assailants. Those responsible must be swiftly brought to justice. I urge all to stand up to violence and terror. I extend my condolences to the family of #AriFuld, an Israeli-American civilian, who was stabbed in the #WestBank yesterday. Everyone must stand up violence and condemn #terror. Shocked by the murder of an #Israeli man yesterday by a #Palestinian teen in the #WestBank. My thoughts and prayers go out to the bereved family. Such horrible acts serve only those who stand in the way of #peace. Terror must be condemned by all. There is no justification for #terror and those who condone it, praise it or glorify it. This is not the path to #peace! The perpetrators of yesterday’s attack must be brought to justice. When the United Nations continually demands that Jewish terrorists be “brought to justice,” but does not similarly call upon Palestinian Arab terrorists to be punished for butchering Israelis, it reiterates its unceasing bias against Israel. Without a basic notion of justice for Israelis, the resolutions the UN passes against Israel are meaningless Palestinian propaganda posters without a shred of moral significance. For many years, the UN has stood as a crude tool of despots and dictators, pretending to have an iota of credibility. But time and again the shroud of respectability falls revealing the UN’s pathetic utility as a blunt instrument in the Muslim and Arab war against the Jewish State. For many years, the United Nations has chosen to mark the anniversary of the November 29, 1947 vote to partition Palestine into distinct Jewish and Arab states as a day of solidarity for only one of those groups – the Arabs. The times they aren’t a changin’. On November 28, 2018, the UN Secretary General Antonio Gutteres spoke at the Meeting of Committee of the Inalienable Rights of Palestinian People (that’s the actual name of the group). Not only does the UN only have a unique group for the Arabs from Palestine and none for the Jews, but the UN also argues that the Arabs have “inalienable rights” to a separate country – not autonomy or self-determination – but a special unique country, which is also a right not afforded to any people anywhere on the planet. “I call on all actors, and first and foremost the leadership of Israel and the Palestinian Authority, to take bold steps and restore faith in the promise of General Assembly resolution 181, of two States living side-by-side in peace and security, fulfilling the legitimate national aspirations of both peoples, with borders based on the 1967 lines and Jerusalem as the capital of both States ‑ East Jerusalem being the capital of the Palestinian State. But it moves past the absurd to discriminatory and antisemitic to declare that Jews should be banned from living anywhere east of that Green Line. That the only way that an Arab state could exist is to be Jew-free and controlling Judaism’s holiest location. The world continues to declare that Palestinian Arabs have unique rights and Jews uniquely have none: Palestinian Arabs must have a distinct country; Jews must be banned from living in parts of their holy land. These are not “right-wing” positions. These are positions based on human rights and international law. 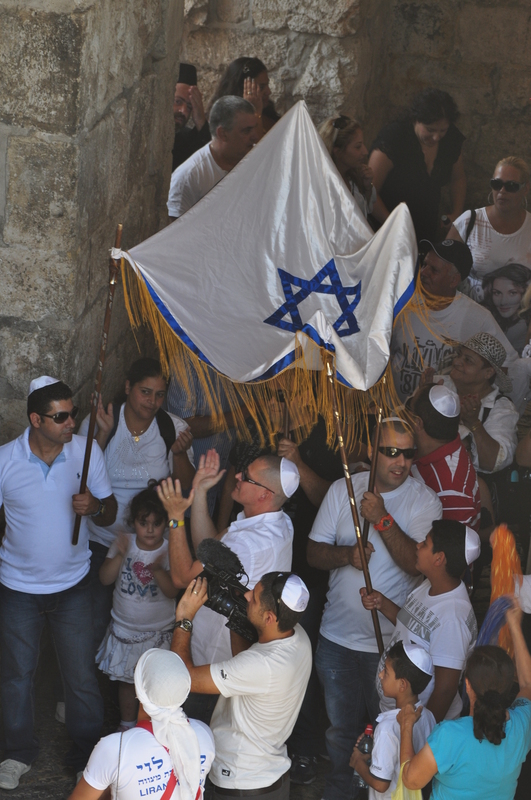 I stand with the rights of Jews to live throughout their holy land, including in their holiest city of Jerusalem. There are so many examples of the bias at the United Nations in favor of Palestinian Arabs over Israel, that the obvious ones are sometimes overlooked. 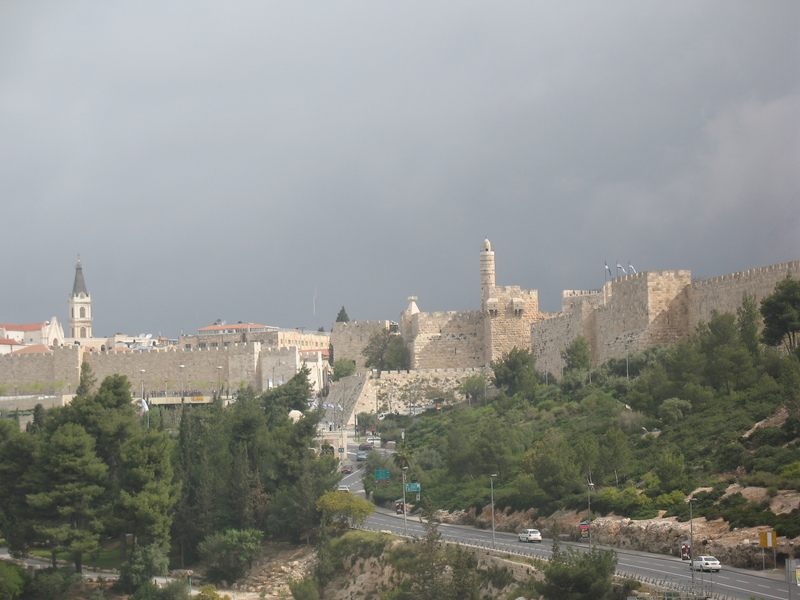 Consider the situation of Jerusalem, a holy city for three religions which has had a Jewish majority since the 1860’s. 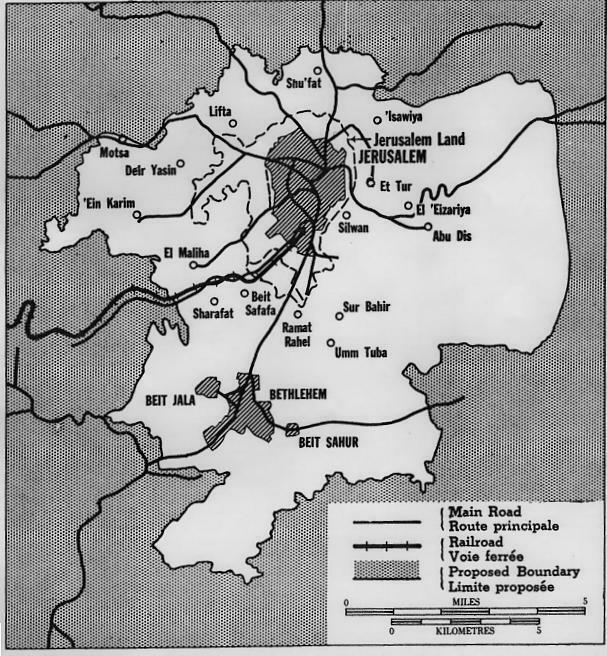 In trying to find a solution for the hotly contested city, the UN General Assembly voted on November 29, 1947 to place Greater Jerusalem and Greater Bethlehem into a distinct corpus separatum which would neither be part of a Jewish State of Israel nor an Arab State of Palestine. The nations at the UN voted 33 in favor, 13 against and 10 abstentions. (The 13 countries that voted against the partition were mostly the Arab and Muslim countries of Afghanistan, Cuba, Egypt, Greece, India, Iran, Iraq, Lebanon, Pakistan, Saudi Arabia, Syria, Turkey, Yemen.) The proposal would never come to pass, as the “corpus separatum” was divided after Israel’s War of Independence with Israel controlling the western half of Jerusalem and the Jordanians controlling all of Greater Bethlehem and the eastern portion of Jerusalem. Israel declared Jerusalem as its capital city and located its federal government buildings there, but virtually no countries recognized Israel’s assumption of the western part of the city, nor the Jordanian occupation of the eastern part of the city. That was the situation from 1949 to 1967, and continued to be true after the Jordanians attacked Israel again in June 1967 and lost its portion of corpus separatum and the rest of the West Bank. For decades, countries have continued to withhold their recognition of Jerusalem as Israel’s capital, much as they had since Israel founding. 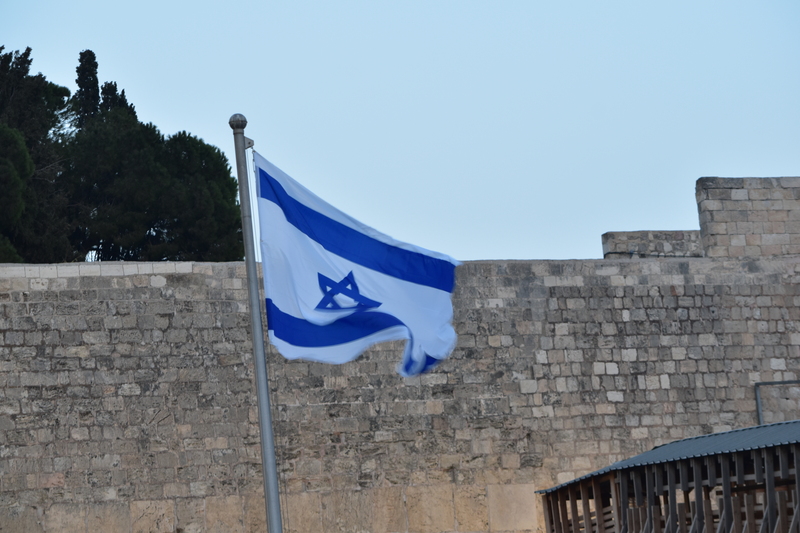 In December 2017, the United States decided to acknowledge the fact that Israel’s capital is Jerusalem, to the chagrin of many other countries. A few weeks later, the UN voted to condemn the United States’ relocation of its Israeli embassy to Jerusalem by a vote of 128 to 9, with 35 abstentions. Many of the 128 countries voiced opinions that Jerusalem is a final status issue to be resolved between the Israelis and Palestinian Authority. Any recognition that either the Israelis or Palestinian Arabs has a superior claim to areas of corpus separatum was to be avoided. Draft resolution “Applicability of the Geneva Convention relative to the Protection of Civilian Persons in Time of War, of 12 August 1949, to the Occupied Palestinian Territory, including East Jerusalem, and the other occupied Arab territories” (document A/C.4/73/L.19) passed by a vote of 154 to 5 with 8 abstentions. The draft resolution titled “Israeli settlements in the Occupied Palestinian Territory, including East Jerusalem, and the occupied Syrian Golan” (document A/C.4/73/L.20) passed by a recorded 153 votes in favour to 5 against with 10 abstentions. The draft resolution “Israeli practices affecting the human rights of the Palestinian people in the Occupied Palestinian Territory, including East Jerusalem” (document A/C.4/73/L.21) passed by 153 to 6 with 9 abstentions. Any country refusing to move its embassy for Israel to Jerusalem while simultaneously calling the eastern part of Jerusalem part of “Occupied Palestinian Territory” is spitting in the face of Israel and rejecting participating in the peace process. On November 12, 2018, the Palestinian Arabs in Gaza fired over 400 rockets into various populations centers in Israel. Buses, roads and homes were hit, killing and injuring people trying to manage their lives. The United Nations was keenly aware of the situation in Gaza. 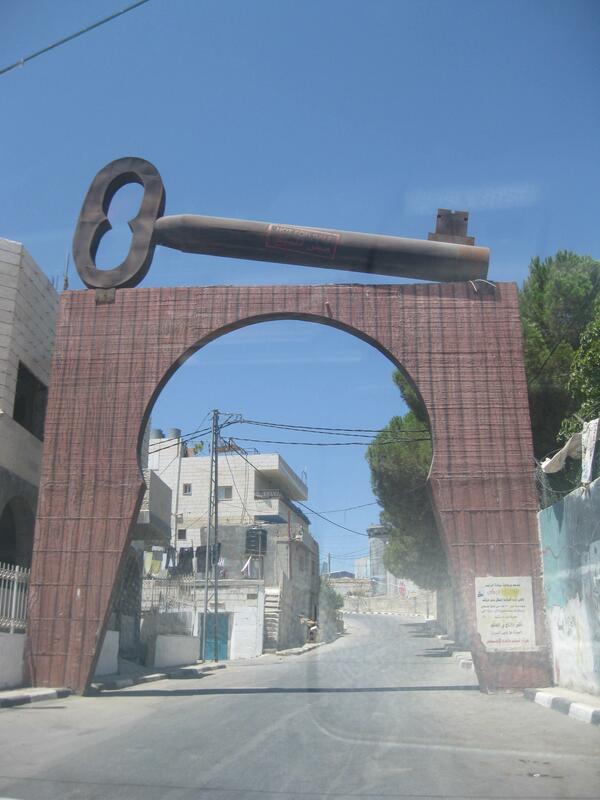 It talks about the Palestinian Arabs living there every day. And so it was on November 12. Dozens of delegates from around the world came to express their desire for more money to flow to these same Palestinians via UNRWA, the United Nations Relief and Works Agency, which has perpetuated the status of statelessness. The delegate from Jordan which hosts – and granted citizenship – to over 2 million Palestinians said “many of those refugees are denied their right to prosper and to return to their villages [meaning to Israel],” and “undermining UNRWA could deepen the frustrations of refugees and cause young people to fall prey to extremism.” (it could get worse than rocket fire). The list goes on, and includes delegates from Japan, Kuwait, Tunisia, Malaysia, Ecuador, China, Nigeria, Egypt, UAE, Sudan, Australia, Turkey, India, Brazil, Russia and the Vatican. Pierre Krahenbuhl, Commissioner-General of UNRWA, thanked the Committee for their recognition and support, also noting the remarkable support mobilized in the face of the Agency’s dire financial shortfall. No one addressed the rocket fire from Gaza. 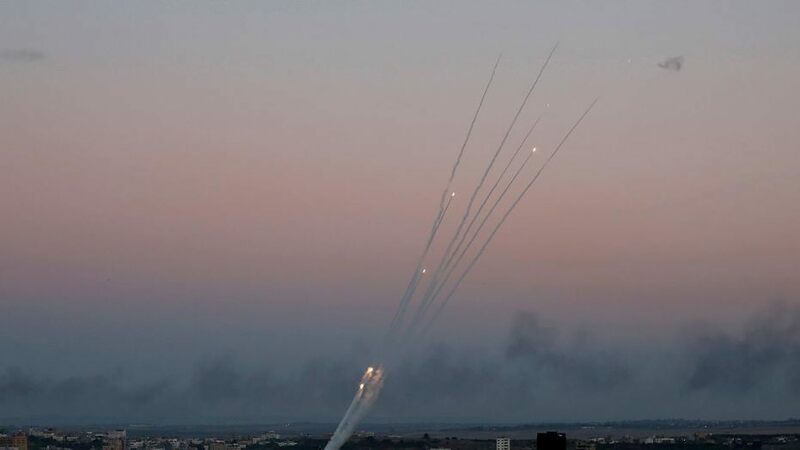 No one mentioned that Hamas which runs Gaza threatened to continue to shell the Israeli cities of Ashdod and Beer Sheva. No one discussed the Hamas Charter which calls for the destruction of Israel. No one mentioned the three wars which Palestinians from Gaza have waged against Israel over the past decade. No one mentioned the car rammings or knife attacks against Israeli civilians by Palestinian Arabs from the West Bank. While Palestinians shelled Israel, the United Nations demanded more monies for Palestinians and a right to move into Israel. Such actions are worse than the “Zionism is racism” resolution of the 1970’s. The UN is actively aiding, abetting and encouraging war against a member state. The United Nations Relief and Works Agency for Palestine Refugees in the Near East (UNRWA) has been bloating its staff and wards since 1949. Tasked with taking care of displaced Arab people from the 1948-9 Arab war against Israel’s creation, the agency has continued to provide services for children, grandchildren and great-grandchildren of the original refugees who continue to live in Lebanon, Syria, Jordan, the West Bank and Gaza. To examine the staffing of UNRWA is to gain insight into the gross misuse of the world’s generosity. UNRWA gives services to nearly 5.9 million people today, even though only 711,000 “refugees” existed in 1949. Of those 711,000 people, only about 25,000 real refugees are alive today. As of December 31, 2017, there were close to 31,000 employees of UNRWA – more than the number of ACTUAL refugees alive today. Further, almost all of the 31,000 employees are local Palestinian Arabs – only 178 people are “international.” UNRWA is simply a vehicle to employ local Arabs. The most aggressive employment happens in Gaza, where there is an UNRWA Staff person for every 110 Registered Refugees (RR). That is almost twice the level in the other regions, and three times the staffing level as in Jordan. Most of the staffing is for UNRWA’s schools. As shown in the chart below, roughly 71% of the overall staffing is for the schools. To get an appreciation for staffing levels of the schools, consider that UNRWA has a student-to-staff ratio of approximately 23:1. By way of comparison, the student-to-staff ratio in the schools in the United States is 32:1, according to the National Center for Education Statistics. There is a wide disparity in the ratio, ranging from 15:1 in Virginia to 136:1 in Kansas. But on average, UNRWA over-staffs its schools by roughly 40% compared to the United States. There are various arguments against the existence of UNRWA which keeps Arabs in a perpetual state of statelessness and hopelessness (SAPs). There are additional arguments against the funding of the schools which promote antisemitism and intolerance. It is worth taking note of the gross over-staffing of the organization as another component in assessing the funding of UNRWA. 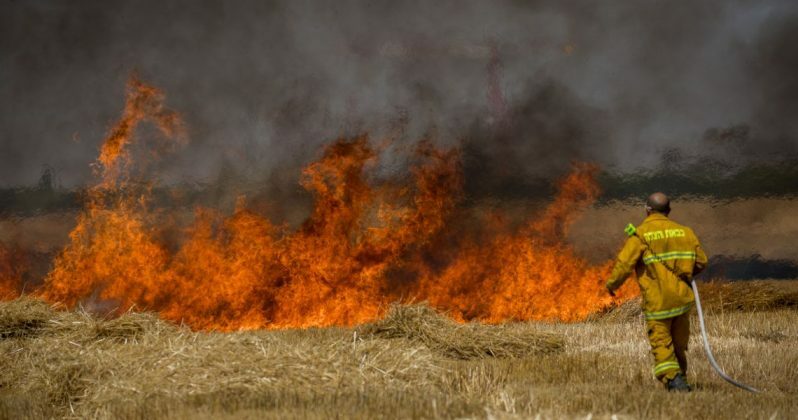 The fires around Israel have been burning for weeks, a direct result of the hundreds of arson attacks launched by Palestinian Arab terrorists in Gaza. And the United Nations has been silent. For the United Nations’ point person on the “Middle East Peace Process,” only the Palestinians lived through three wars, not the Israelis. The Israelis only had the “threat of rocket attacks,” not actual rocket attacks. Not abductions and infiltrations by underground tunnels. Not arson attacks through the air. Simply threats. Not real violence. It is not as though the UN doesn’t understand the dangers of arson. It has loudly spoken up about it – in the few cases when Israelis engaged in such attacks. But when it comes to Israel, the UN cannot acknowledge the HUNDREDS of arson attacks by HUNDREDS of Palestinian Arabs. Similarly, the UN will never call out “Muslim extremists,” even while it comfortably condemns so-called “Jewish extremists,” despite passing resolutions that specifically denounce calling out extremists by their religious identity. For several decades, the United Nations has contorted itself with new and unique definitions for “refugees” just for Palestinian Arabs. It continues to turn a blind eye to the evils of Hamas which it seeks to legitimize by ushering it into a coalition government, as well as ignoring the actions of other Palestinian arsonists. The Secretary General of the UN Antonio Guterres said “The international community has the legal right and the moral duty to act collectively to put an end to terrorism ‘in all its forms and manifestations, committed by whomever, wherever and for whatever purposes.’” If only the UN would live up to its own values with it comes to Palestinian Arab terrorists. These are terrible actions, especially against civilians seeking to live and pray in their holiest city. 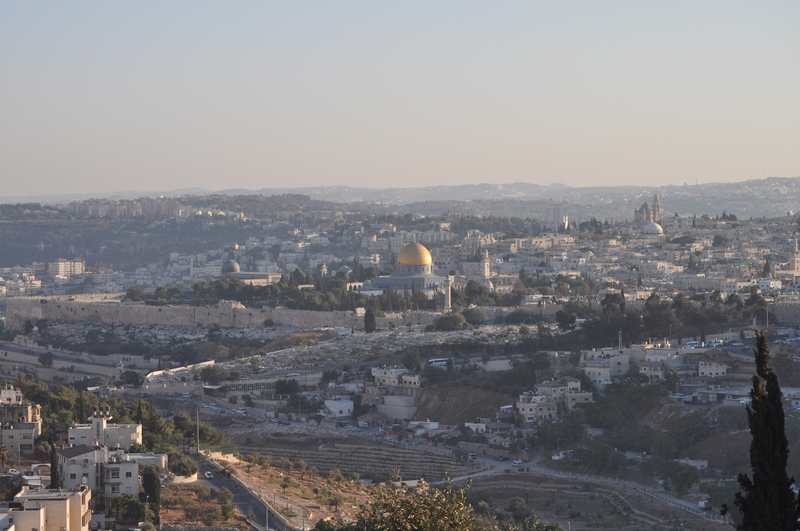 But they have been the reality in one of the great cities of the world – Jerusalem. The United Nations tried to ensure that there would be freedom of access and worship when it took up the cause of Palestine in 1947. The UN planned on placing the cities of Jerusalem and Bethlehem into a “corpus separatum,” an international holy basin that would neither be part of a Jewish State of Israel, nor an Arab state of Palestine. While the Jewish Zionists accepted the plan, the Arabs rejected it and went to war to destroy Israel as soon as it declared itself an independent country in May 1948. By the war’s end in 1949, Jordan claimed all of Bethlehem and the eastern half of Jerusalem including Judaism’s holiest site, while Israel took the western half of Jerusalem. The Israelis gave citizenship to all 160,000 non-Jews in Israel, but the Jordanians instituted an ethnic cleansing of all Jews from the west bank of the Jordan River through eastern Jerusalem. In April 1950, the Jordanians annexed the Old City of Jerusalem, Bethlehem and the entirety in of the western bank of the Jordan River in a move that was not recognized by almost the entire world. The Arabs put up barbed wire and blockades and prevented any Jews from entering or visiting the Old City of Jerusalem including the holy sites of the Kotel, the Western Wall, and the Jewish Temple Mount. In 1954, the Jordanians continued their discriminatory program and granted citizenship to the people of the west bank and eastern Jerusalem, specifically IF THEY WERE NOT JEWISH. These Arab policies of expulsion, exclusion and discrimination would remain in effect until June 10, 1967. Just as the Jordanians launched an attack on Israel in 1948, it would do so again in June 1967. And just as Israel won more land in its defensive battle of independence in 1948-9, it would take more of the land that had been allocated as a Jewish homeland in international law in 1922. 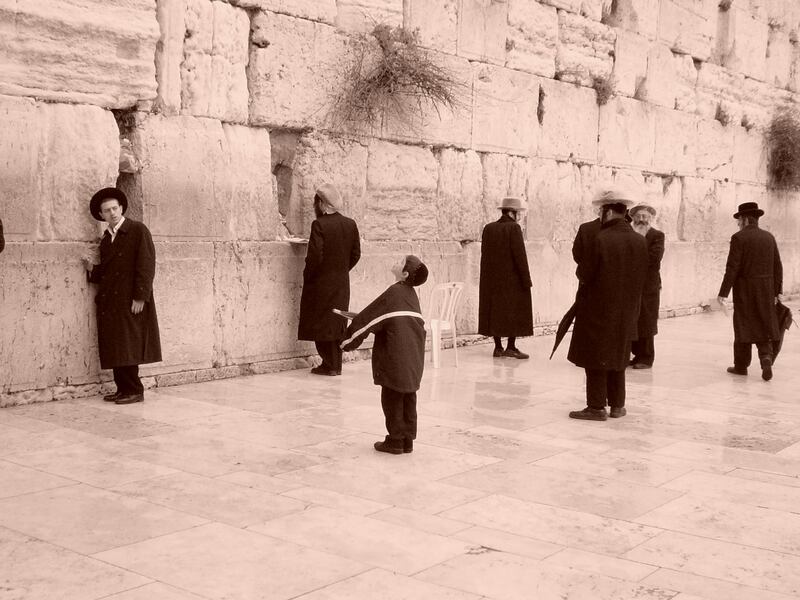 At the end of the Six Day War the Arab edicts of expulsion and exclusion were eradicated, and Jews once again moved into their holiest city, rebuilt the destroyed synagogues and resumed praying at the Kotel. 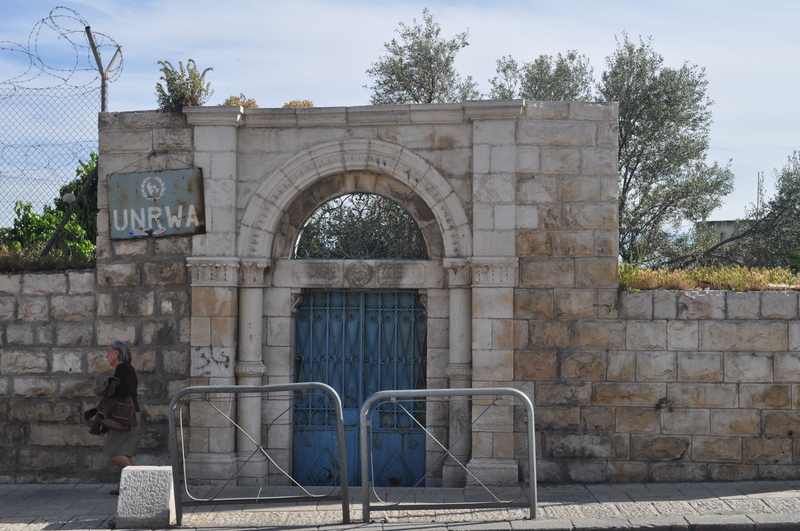 However, the stain of discrimination still exists in Jerusalem, as the government of Israel handed administrative control of the Jewish Temple Mount to the Jordanian Waqf in 1967 in an effort to forge peace. 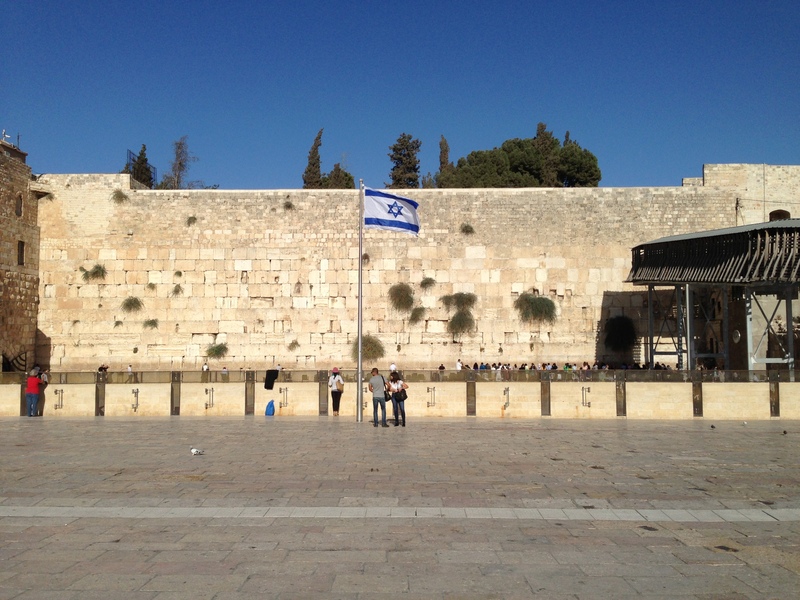 To this day, the Waqf continues to prohibit Jews from praying at Judaims’ holiest location. While June 10, 1967 began the process of dismantling apartheid in Jerusalem, there is still some way to go. The United Nations has long encouraged a deeply flawed directive which stands against global international law, that descendants of Palestinian Arabs who left homes in 1948 have a right to move back to such houses inside Israel. In addition to that particular Palestinian-only ruling, the UN created a unique definition for a “refugee” as it relates to Palestinian Arabs, coupled with a unique refugee agency, UNRWA, distinct from the global refugee agency. These convoluted UN initiatives have encouraged the Palestinian Arabs to view the borders of Israel as permeable, as mere temporary and arbitrary lines with no meaning. The UN has educated generations of these Stateless Arabs from Palestine (SAPs) that with the help of the United Nations, they will all move into Israel. Together with the incitement of their leaders from the terrorist group Hamas, Gazans have taken the next small step to view the border fence with Israel as not just irrelevant, but completely illegitimate. It is therefore no surprise that Gazans attacked the border fence with Israel in their “Great March of Return” during the spring of 2018. The Palestinian Arabs have been given tacit approval of such actions for decades by the United Nations. It is therefore highly appropriate that the United Nations take active steps to correct the violation of Israel’s sovereignty which the UN itself implicitly inspired. The UN must contribute funds to Israel’s repair of its border fence with Gaza. It must make clear to the people of Gaza and around the world that Israel’s borders are inviolable and no threat to the country will be tolerated. Unless it really believes otherwise.